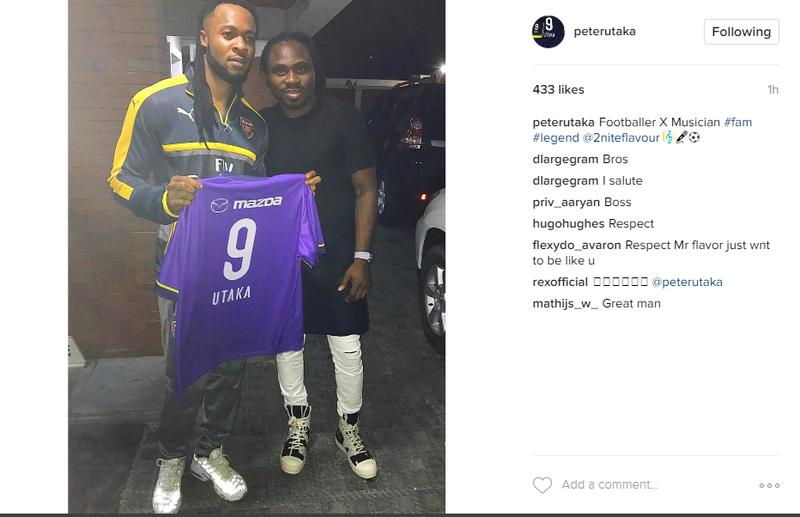 Sanfrecce Hiroshima forward Peter Utaka who is currently on break from the J-League, met with one of Africa's best highlife artistes, Flavour N'abania, few days after meeting ace comedian Ushbebe. 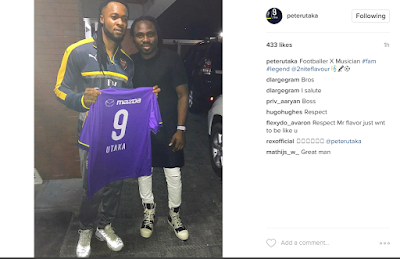 The former Westerlo and Beijing Guoan forward shared a picture of him with the singer after presenting his Sanfrecce Hiroshima jersey to the 'Ada Ada' crooner. Does this signal that the Super Eagles forward is about to switch to the Nigerian entertainment industry, following his meetings with prominent stakeholders in the industry recently?